Experience the wonders of the deep in Ayia Napa! Ayia Napa is a great place to try diving for the first time and also has some more advanced and interesting dive sites for more experienced divers. The rocky sea bottom around Ayia Napa, Cape Greco and Protaras delivers a huge variety of caves, tunnels, rock formations and canyons to explore and has an abundance of fish and other sea life and the crystal clear waters provide excellent visibility up to 50 metres. There are numerous PADI approved dive companies to choose from in Ayia Napa. They all offer try dives for beginners as well as more advanced dives and PADI courses for those who would like to become certified divers. 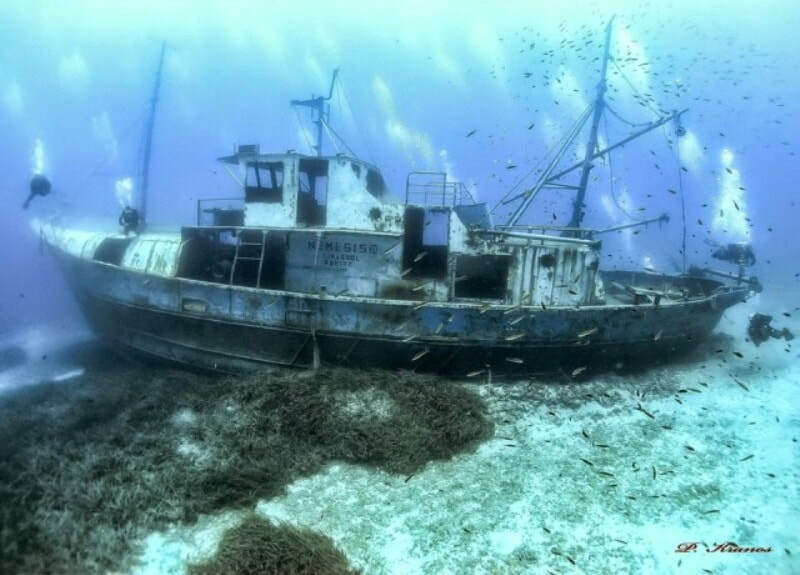 In recent years two boats have been purposefully sunk off the coast around Ayia Napa and Protaras to create artificial reefs. 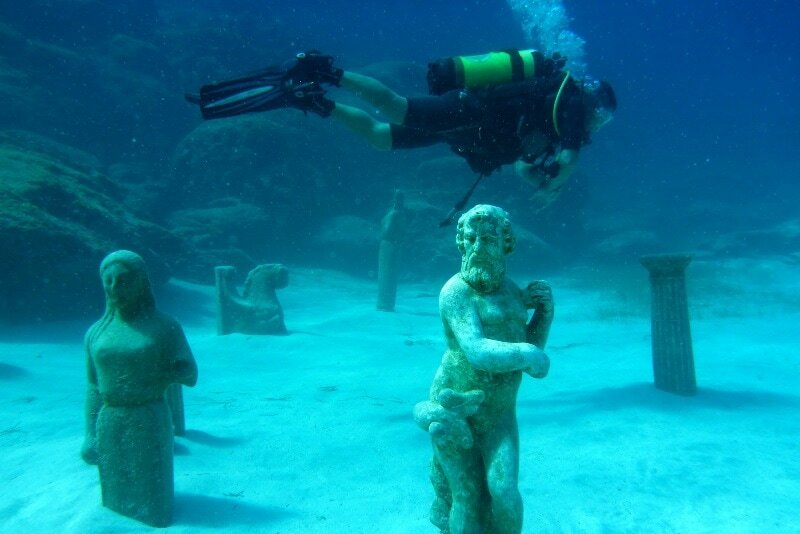 An underwater statue park has also been created at Green Bay. This has attracted an abundance of sea life and also provides new and exciting dive locations. Pernera Bay -Very shallow bay with max. depth of 7m. Ideal for beginners and other courses. Crystal Cove - Nice dive with max depth 15m and a great chance to see moray eels and turtles. Nemesis Wreck - Sunk in 2013 next to the Liberty Wreck at 25m depth. The coastline around Ayia Napa and Protaras is suitable for all levels of divers from complete beginners on the Discover Scuba Diving program, through to advanced wreck dives, PADI advanced open water courses and a range of speciality dive courses. We have teamed up with Poseidon Diving to offer a range of dive courses with full PADI qualified staff. Poseidon are located close to Cape Greco in between Ayia Napa and Protaras and can tailor make any dive package to suit your requirements and qualifications. 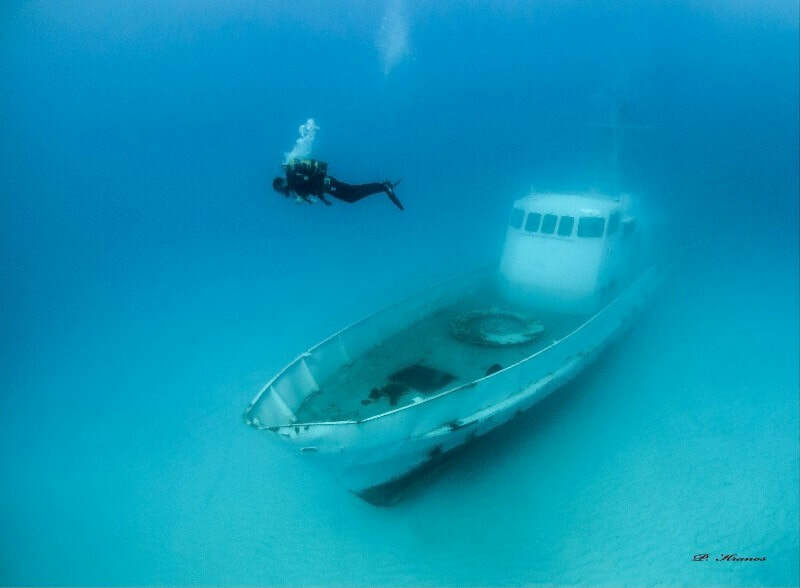 ​Transport from your hotel is included in all dives.